Today we spent the day inside, even though it was 75. Carson's allergies are pretty bad right now. The boys played the wii and colored. They played Indiana Jones and Batman. Emma and Parker helped me make Strawberry Cupcakes! Oh so yummy! Of course Carson wouldn't try them. Oh well, his loss. Tonight's movie night choice was "Twister". The boys loved it! Today we also found out Josh will be coming home early from Bahrain. 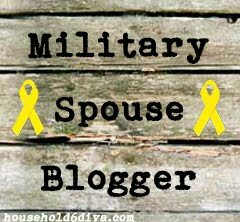 A 6 week deployment instead of 6 months. We don't know what day yet, but sometime soon. We are not going to tell the kids, so it will be a huge surprise for them!